Soak 75 grams of powdered casein in 125 milliliters of water in a bucket or a mortar. If possible, let the mixture rest in a warm place for a couple of hours until it forms a soft mud. Afterwards, the casein will then have soaked up the water completely. Usually one prepares the casein-water-mixture one night before and allows it to soak overnight. This way, you can be sure that the swelling process will be finished by morning. The casein mud is then opened up by adding 50 grams of Pit Lime (#31800) resulting in a very nice viscous casein glue of smooth texture. 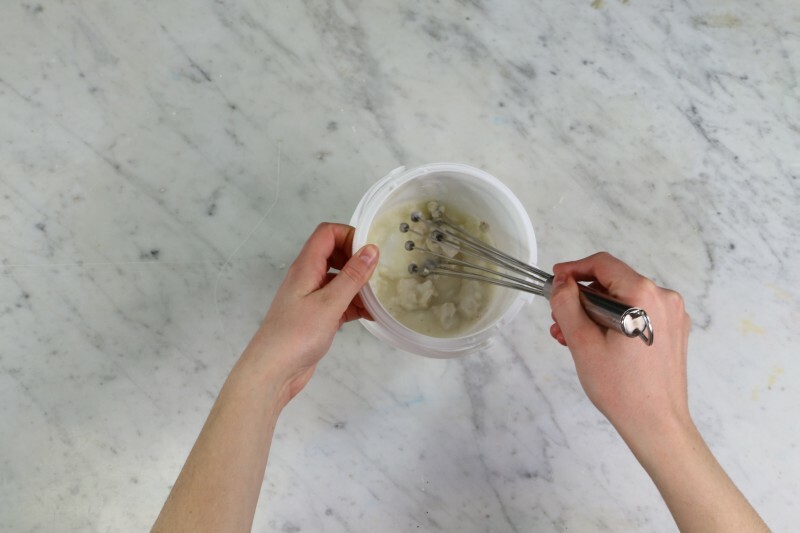 However, this casein glue made from powdered casein tends to gel if it is not thinned immediately. 5 minutes after mixing in the pit lime, water is stirred into the mixture (in small portions) until a total volume of 1 is achieved. The result is a 7,5% casein glue solution). 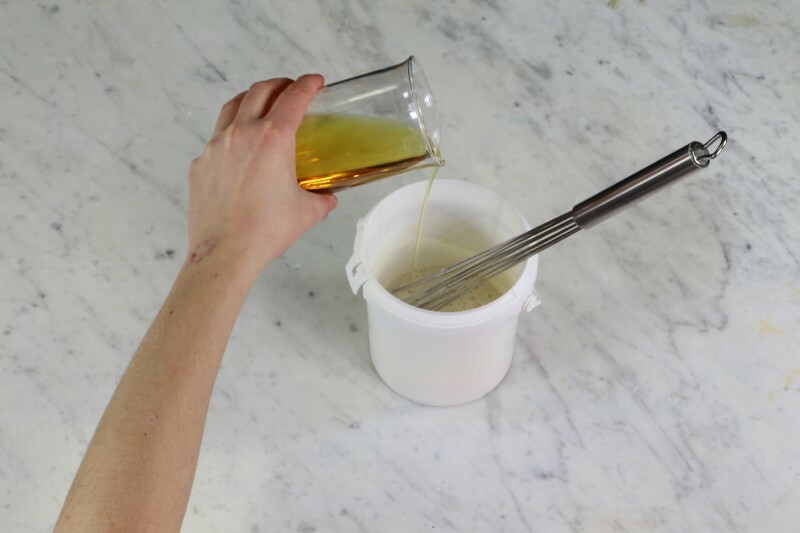 Add 150 milliliters of linseed oil varnish (#73100) with a mixer or a whisk (in small portions) until the mixture forms a smooth emulsion. 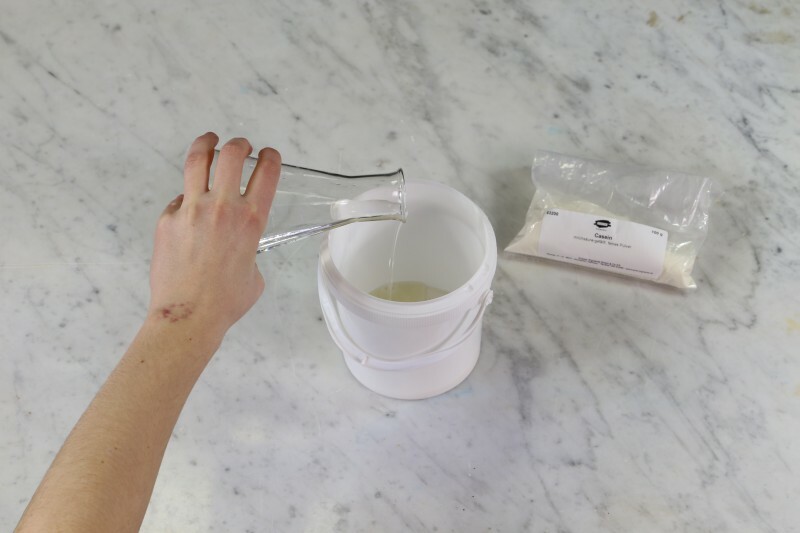 Prepare your paints by making pigments and water into a thick lump-free paste. Mix the color paste with the casein glue emulsion with a mixing ratio of about 2:3. 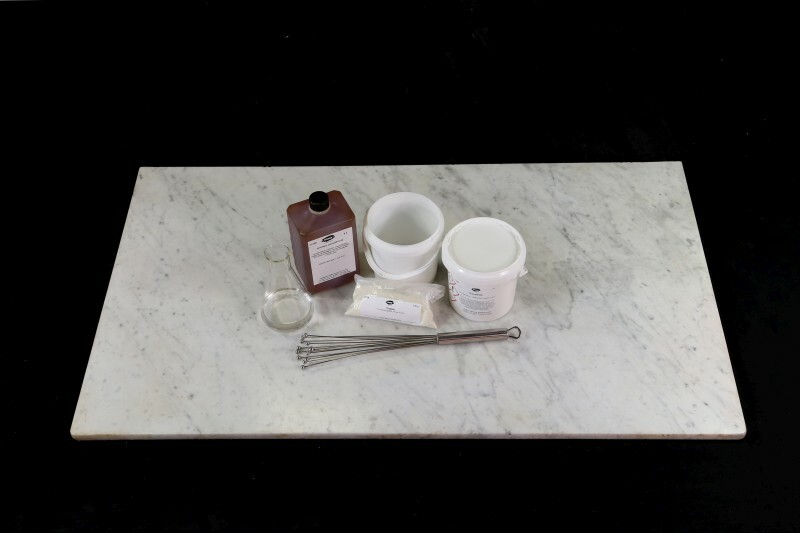 Since the casein glue is made using an alkali and thus reacts alkaline itself, you should use alkali-resistant pigments only. 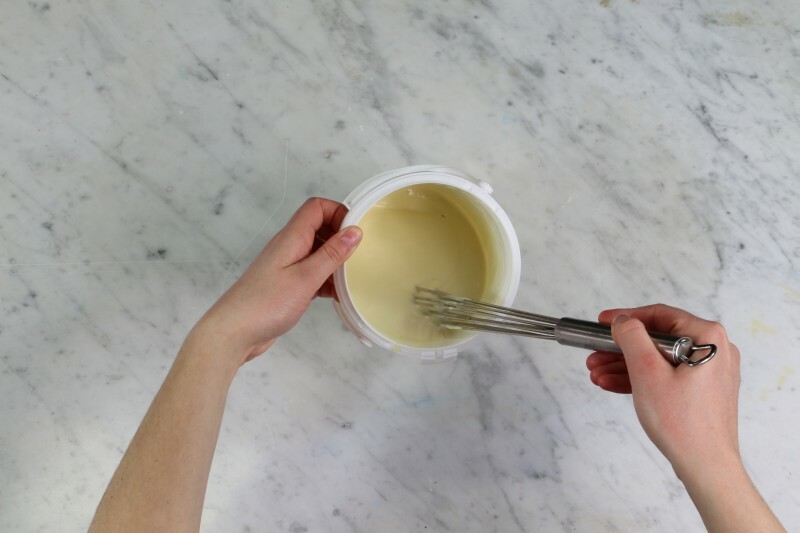 It is necessary to test if the paint contains enough binding medium: If the painted surface shows chalking when it is dry, it is necessary to add more casein emulsion. If the paint is brittle and starts to crack, it contains too much binding medium and you need to add more pigment and water to the mixture. Casein is a very hard and brittle medium, therefore casein paint requires only small amounts of binding medium. Use up mixed lime casein paint the same day. All lime casein tempera paints are unique materials, as they are very largely weatherproof. 125 ccm Water - cold!